Initially Irish immigrants tended to congregate in certain occupations – single women as domestic servants, single men as miners. 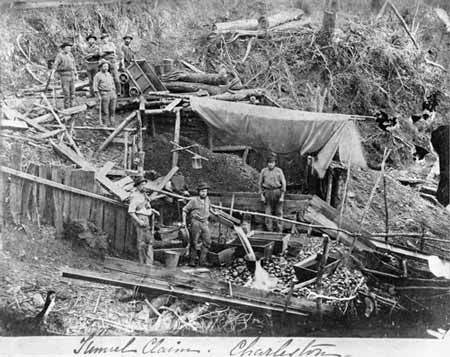 These miners are working on the Tunnel claim near Charleston on the West Coast, in the 1890s. Charleston was a strong Irish community throughout the second half of the 19th century.